Fuji has shrunk the size of its compact, retro-look mirrorless camera and it’s a beaut, reckons PAT PILCHER. It’s a funny tech trend. Version 1 is innovative with a few kinks to get ironed out. Version 2 is better, but it isn’t until the third iteration that something amazing emerges. This was the case with Windows and PlayStation, and so it is with Fuji Film’s X-E3. It delivers top-notch usability and has everything you’ll need in a small stylish package. The X-E3 doesn’t deliver all the bells and whistles of Fujifilm’s flagship shooters, but does have the usability and quality you’d expect from Fujifilm’s X-series cameras. Those familiar with Fuji Film cameras will notice that the control layout has had a makeover. 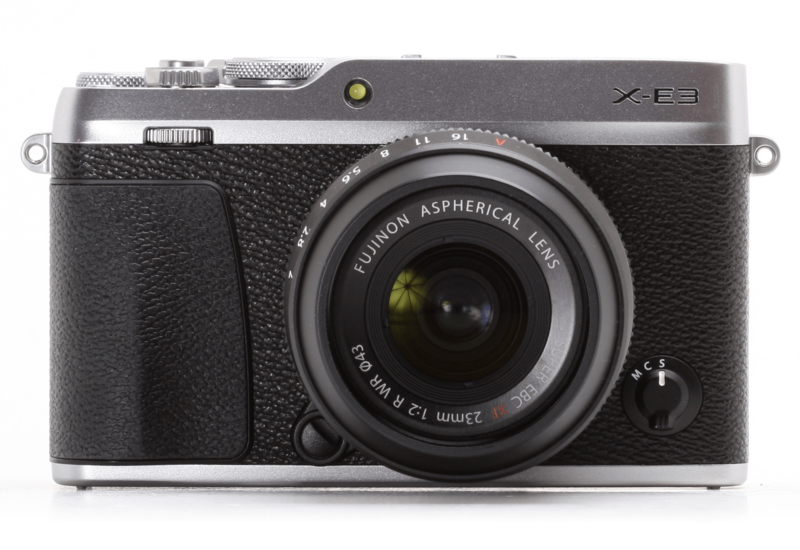 This is partly due to the X-E3’s new body, which lends it a more compact feel. One of the factors keeping things petite is the removal of the pop-up flash (a small flash comes with the X-E3). The biggest difference between the X-E3 and the X-Pro range is the X-E3’s electronic viewfinder. (The X-Pro can switch from optical to electronic modes). All told, the X-E3 is a good-looking piece of kit, and as stylish as a Hasselblad or Leica, but unlike either, it manages these looks without destroying your bank balance. The silver on black review unit has a cool retro look and feel. If you got sent back to the 1950s with an X-E3, no one would notice that you were toting a state-of-the-art digital camera. Good looks are one thing, but usability is another. The X-E3 is as usable as it is attractive. The four-way button cluster got replaced by a smoother and easier to use joystick. Its rear screen is touchy too, which allows you to tap to set new AF points. Instead of fiddling about with buttons, you use tablet-like gestures on the touch screen. Functions such as ISO, AF mode, or white balance are present as is a gimmicky film grain simulation. From a usability perspective this comes down to personal taste and what you’re used to. I found it intuitive and easy to drive when shooting in real world conditions. Touchscreen aside, some old school controls are present. A front command dial gives you access to F-Stop, shutter speed and ISO. It also frees you up to work with lens aperture/focus rings. The X-E3 also has a focus lever positioned to the left of where your thumb sits when shooting. Tapping it moves the focus point. Below this, there’s also Menu/OK, Disp/Back and playback buttons. The focus lever also does double duty as a control to move you through menu settings. The X-E3 weighs in at 100g and is smaller than the X-E2. In theory this sounds good, but (there’s always a but) smaller cameras can be tricky for big-handed folk, and there’s camera shake when shooting one handed. That said, its chunky grip and well-balanced weight meant I didn’t experience either issue. Like a lot of smaller cameras, the X-E3 will struggle when paired with larger lenses. Those wearing glasses will also like that its 0.39-inch electronic viewfinder (2360k dot res, 0.62x mag) has a dioptre wheel. An eye sensor also switches between the viewfinder and the touchscreen. Info displayed in the viewfinder rotates depending on the X-E3’s orientation. A View Mode button stretches battery life by switching from touchscreen to a battery friendly viewfinder mode. Fujifilm has stuck to the tried and tested sensor and processor combo of previous X Series cameras. With it you get the 24.3-megapixel APS-C-size X-Trans sensor and X-Processor Pro image-processing engine of the pricier X-Pro2, X-T2 and X-T20. The good news is that this sensor and processor combo boosts performance. From a faster start-up time (0.4 seconds), to a shorter shutter lag (0.05 seconds) and a much quicker shooting interval (0.25 seconds), everything feels quicker. I also liked that I could shoot at 8fps using the mechanical shutter, or 14fps with the electronic shutter. The X-Processor also captures 62 JPEG shots consecutively (or 23 uncompressed RAW files) when shooting at 8fps. All told, the X-E3’s hardware makes it a nimble performer. Another notable addition to the X-E3 is wireless connectivity. 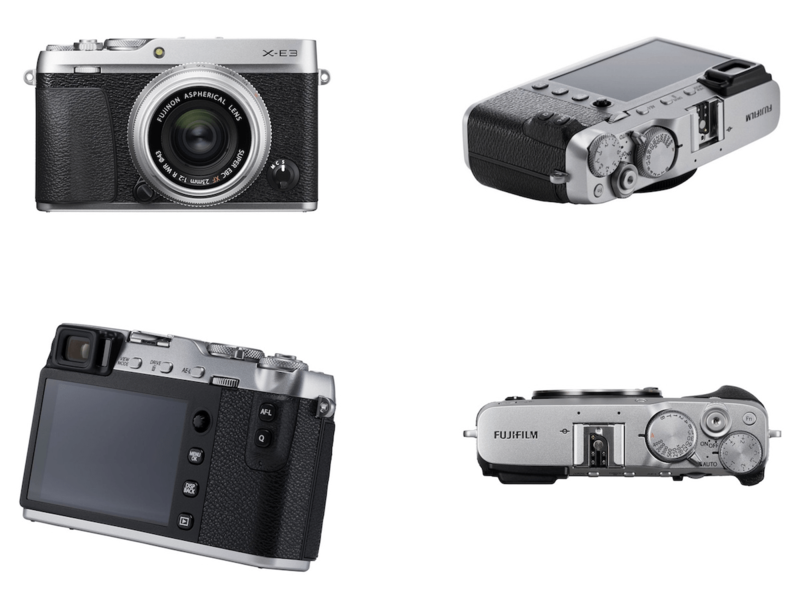 The X-E3’s Bluetooth capabilities are a first for Fujifilm cameras. Bluetooth wireless gets used for pairing to a smartphone. After pairing, you can use the Fuji Film app to amongst other things, transfer photos and geotag them. I also liked that the date and time get synched. I was somewhat surprised to find that I couldn’t transfer RAW images though. Another handy refinement is the ISO range. With the X-E3, ISO goes from 200-12,800 to ISO 100-51,200. The X-E3’s predecessors had to shoot JPEGs when shooting outside of their native ISO range, but the X-e3 can shoot RAW files at any ISO setting. Last but by no means least, Fujifilm have also tweaked autofocus. The X-E3 uses a new image recognition algorithm, which also works with zone and AF-C modes. In plain English this translates to faster, more accurate subject tracking. All told these tweaks make the X-E3 a joy to use. Rounding things out is a single SD Card slot, a 2.5mm mic port and HDMI (Type-D) micro connector. The X-E3 is a wee pocket rocket of a camera. Not only is it well built, but also clever controls and a touchscreen make it a joy to use. The images it captured were rich and detailed. Add wireless into the mix and sharing images out of the X-E3 is doable anywhere. In short, the folks from Fuji may have shrunk the camera but not its performance and usability. 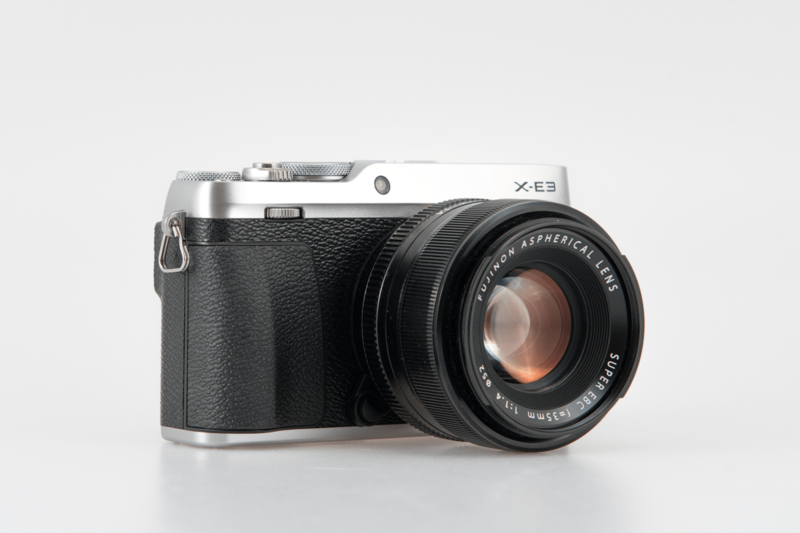 If you’re looking for a compact mirrorless camera, the X-E3 is a solid bet.